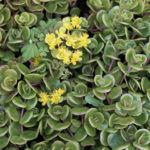 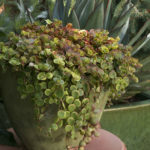 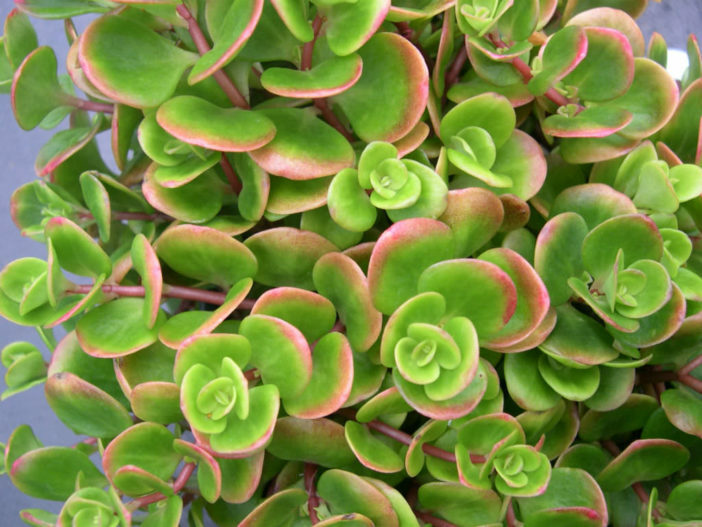 Sedum tetractinum is a low growing herbaceous perennial succulent ground hugger. 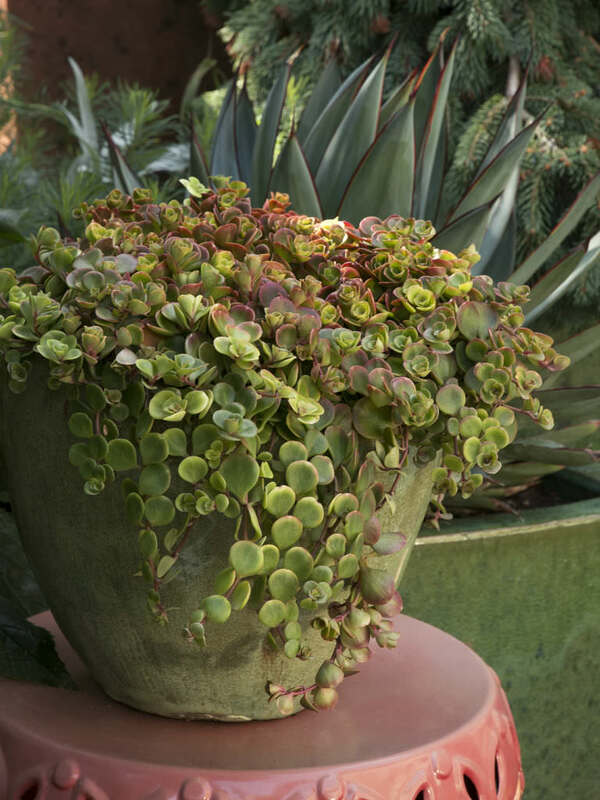 It spreads by runners forming a mat of overlapping, rounded foliage which resembles fish scales. 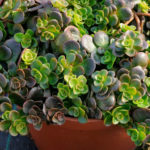 The leaves are up to 1.2 inches (3 cm) long, up to 0.5 inch (1.3 cm) wide, bright green turning dark bronze often deciduous in winter. 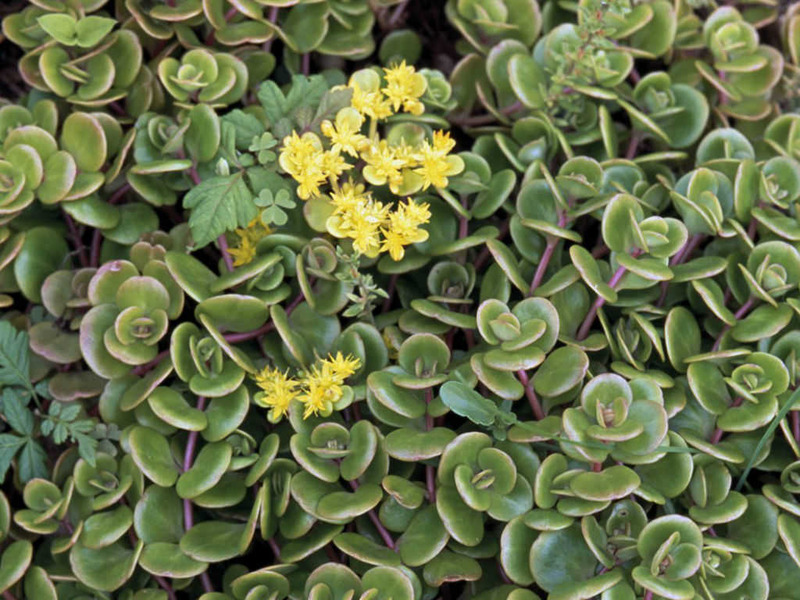 Flower spikes of tiny star-shaped yellow flowers appear over the shiny foliage during summer. 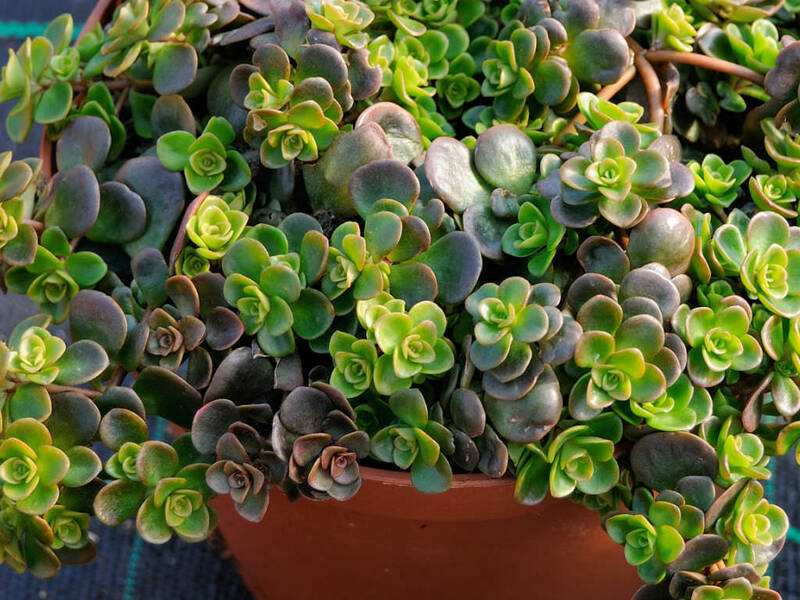 Plants root at their tips to eventually form large carpets.